I finally got to spend some quality time with the second album from Australia's Caligula's Horse...and wow! Already a big fan of their debut, I am blown away by this new album. The band exceeded my wildest expectations and has evolved to epic proportions on The Tide, the Thief & River's End, easily one of the best albums of the year! NEW ALBUM, The Tide, the Thief & River's End out on Welkin Records. Thanks to Denise and Tim DeBrabander at Wyneden Park Square Meater Stud for the location! "The knife slipped in much easier than she expected. Her anger brought her to the very hilt, his blood pouring over her fingers, softening her grip. The embers of their final conflict softly died to silence, their eyes locked as he faded away. "Your holy words are worth no more than my spit. It was always me. It was always going to end just like this - your blood, my hands." Invisible behind her veil, she tearfully smiled as he dropped to the floor, his life pooling around him, the light fading from his eyes. And the last thing he saw was her headdress strike the ground." "Your fists can't hurt me now"
"The coward could not kill what was already dead." Named for the prized possession of Rome’s infamous despot, CALIGULA’S HORSE is an emerging progressive alternative rock band from Brisbane, Australia. 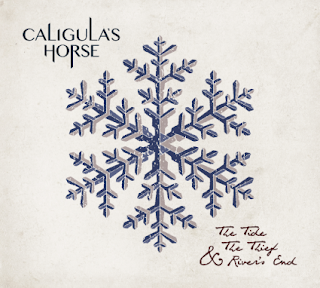 With a modern and individual approach to music that channels the raw honesty of classic rock and the skill of progressive metal into a voice at once energetic, grand and forthright, CALIGULA’S HORSE offers devotees of all strains of powerful and progressive music something new and unique. 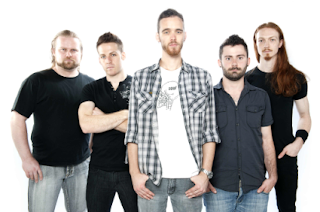 Formed by Sam Vallen and Jim Grey in early 2011, CALIGULA’S HORSE released their debut album Moments From Ephemeral City in April of the same year. Moments is a colourful and dynamic foray into modern progressive music at once eclectic and memorable. Unlike much beneath the “progressive” banner Moments isn’t an album intended for the intellectual, but rather an honest and accessible statement with depth enough for the most ardent of progressive rock fans, and fire enough to bring audiences in venues across Australia to fury, and their voices to unison. 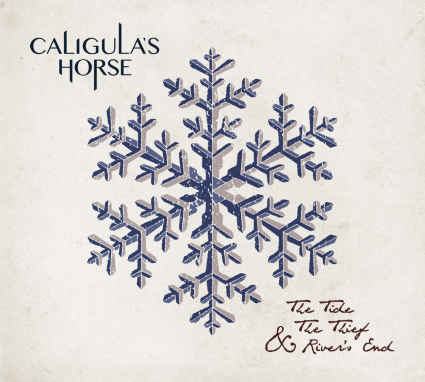 CALIGULA’S HORSE entered the studio mid 2012 to create the follow up to Moments from Ephemeral City, releasing teasers and video diaries that gradually reveal a band with a focused vision and a wholly realized sound pushing towards a career-defining work in their new album The Tide, The Thief & River’s End.